Whether you’re installing a new AV system or existing equipment and components and require a solution that ensures easy access to servicing and cabling we have the AV RACK for you. The AV Rack rotates on its base for ease of installation and servicing. The AV Track pulls out on a sliding track and rotates for ease of installation and servicing. The AV Stand and AV Plasma Stand are freestanding models that are designed for ease of installation and servicing. All AV RACK products feature infinitely adjustable vented shelves with a locking system suitable for commercial, home or industrial use. Optional rack mount rails, additional shelves, custom heights, drawers and turntable shelves are available. Our racks are proudly 100% Australian made using the highest quality materials, manufactured in our factory in Brookvale, Sydney. Shipped fully assembled you can be assured of excellent quality control, quick turnaround time and personal service. Our prompt delivery service Australia wide is available by our trusted courier service Air Road Direct or if your prefer you can arrange your own shipping. 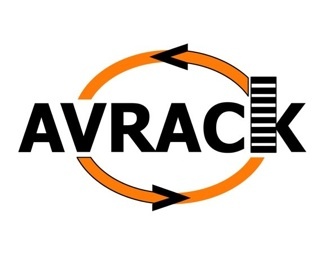 If you have any questions about our racks or company that aren’t included here, please contact us via email robert@avrack.com.au phone 02 9905 8705. We look forward to making your AV installation simple, effective, affordable and easy.